After you get the basics under control, have a look at more advanced raw editing for your dSLR shots. You may not need or want to apply every technique mentioned here. Hopefully, you don’t. Sharpen: Everybody likes sharp-looking photos. Factors such as your glass (lens in photographerspeak), focus, camera stability, shutter speed, and distance clearly have a large effect on how sharp a photo can be. Within those bounds, you can sharpen a photo quite a bit during raw conversion. If the photo has serious sharpness problems, try reshooting it with a better technique or leave it for editing, where you can use more sharpening techniques. Don’t oversharpen photos. It makes the edges look artificial and makes noise more obvious. Noise reduction: Similarly, most raw converters have some form of noise reduction. 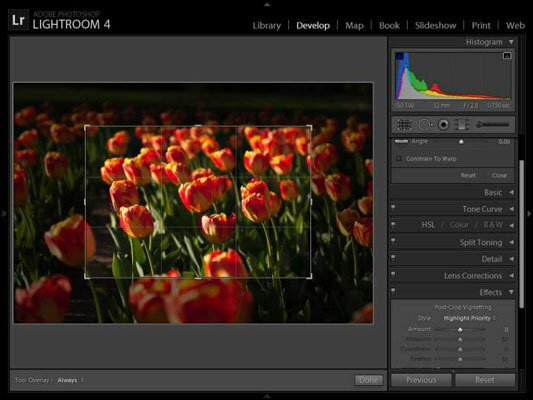 Many let you reduce noise in the Luminance channel and/or the photo’s color channels. This was shot with a Canon EOS 5D Mark III at ISO 12800. Despite the remarkable noise (both in the alley and the photo), there’s still noise that can be taken out. The result is pretty good! Too much noise reduction removes a great deal of a photo’s detail. Watch how much sharpness you lose when you reduce noise. If it’s too much, try backing off and reducing noise in your editor. Third-party noise reduction plug-ins often give you much more control over noise reduction and the ability to protect or sharpen details. You can also selectively reduce noise by using layers or masks. Chromatic aberrations: You know that a photo has chromatic aberrations when you see colored fringe along borders between high-contrast areas. What happened is that your lens wasn’t able to focus all wavelengths of light on the same spot. It almost looks like a ghost image. These controls nudge those areas to where they should be ― on top of the actual object. 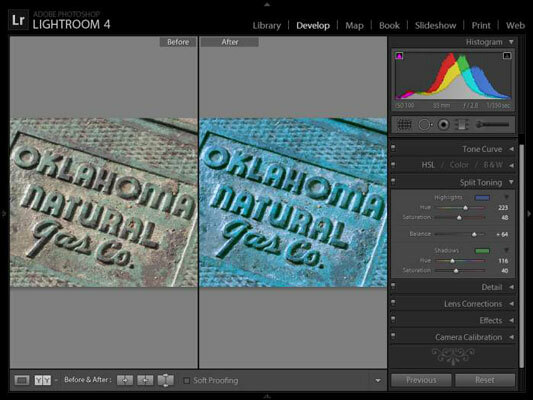 Lens corrections and distortion removal: More raw editors include automatic lens profiling, which includes vignetting and distortion. 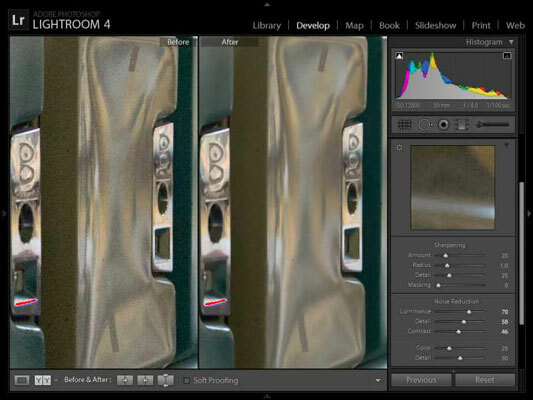 Effects: Lightroom has an effects panel that lets you add or remove post-crop lens vignetting and add artistic grain. Use effects, but use them sparingly. Cropping: Because you can crop in many raw converters, you don’t have to export the photo to an editor to crop. Instead, you can just export your work and be done with it. Straightening: Repeat the preceding bullet but say straighten when you see crop or cropping. Spot removal: Most raw editors can remove spots and clone out blemishes. This godsend means that you don’t have to load raw photos into an editor just to get rid of a pimple. Graduated filter: Adobe Camera Raw and Lightroom have a cool graduated filter tool that lets you apply one or more filters to the raw photo. Toning: You can easily and selectively adjust the hue, brightness, and saturation in many raw editors with a slider or by clicking and dragging in the preview window. You can use this feature artistically, or to correct problems (such as too-bright reds that need to be toned down). Tinting: When you add tint, you apply a color to either the entire photo or to specific regions. Black and white: Although you can desaturate (take out all the colors) a photo in all raw editors, some have more complex controls that let you add input to the process. Working with multiple images: You can work with more than one image at a time in some applications (Adobe Camera Raw, namely). In others, you have to save your work as a preset and apply to each photo, one at a time, or copy the changes and paste them to another photo. Presets: Use your own predefined settings. They simplify your job tremendously if you often shoot in similar settings. They come out the same way every time.